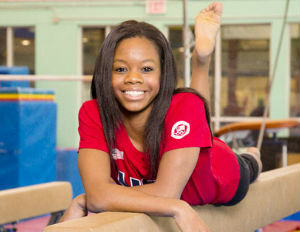 On the Saturday before the Super Bowl, Lifetime will premiere the “The Gabby Douglas Story.” It’s the back story about how Ms. Douglas, the gold medal-winning gymnast, came to be a champion and worldwide phenom. And she’s staying plenty busy in the meantime. Ms. Douglas rose to stardom during the 2012 Summer Olympics, becoming the first African American gymnast to win two gold medals in Olympic competition. In the film, a young Ms. Douglas is played by the actors Sydney Mikayla and Imani Hakim.